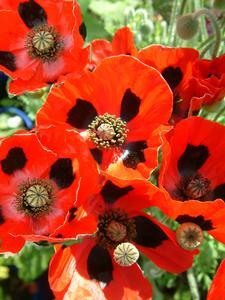 Poppy Soldiers Glory has cup shaped flowers which are bright red with black patches on strong stems. This bedding plant will add a lovely splash of colour to your garden. Ideal basket and container plant.